If you’ve been around in the indie music scene then there’s no doubt that you’ve heard the name Spencer Krug or at least one of his many projects (Wolf Parade, Frog Eyes, Sunset Rubdown, etc). Usually one to implement words full of vivid detail or take listeners away to a far off land with his music, Mr. Krug is certainly a man of many talents and that’s very evident with his newest alias, Moonface. With this being his second LP under the name he’s decided to get some help from Finnish band Siinai to create something truly stunning and majestic. The new album titled With Siinai: Heartbreaking Bravery shows a more tenebrous side than his prior release, while also integrating elements of lo-fi, psych pop, and indie. What’s always been great about Spencer Krug’s work though is that it’s difficult to just slap a definite genre on it so check out the single “Teary Eyes and Bloody Lips” below and you can be the judge. 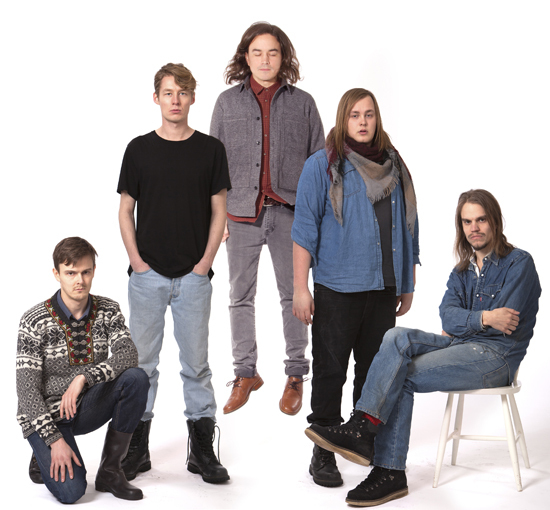 Moonface – Headed For The Door FREE MP3.